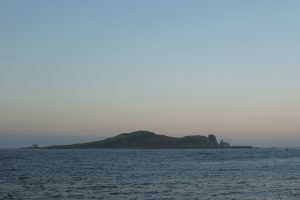 Once home to one of Ireland’s largest fishing fleets, Howth Harbour remains an active fishery harbour, though on a much reduced scale. With more yachts than trawlers, the harbour has been divided into two basins to reflect the changed requirements. Both the RNLI and the Irish Coast Guard operate from the harbour. Ireland’s Eye lies a kilometre north of the harbour. 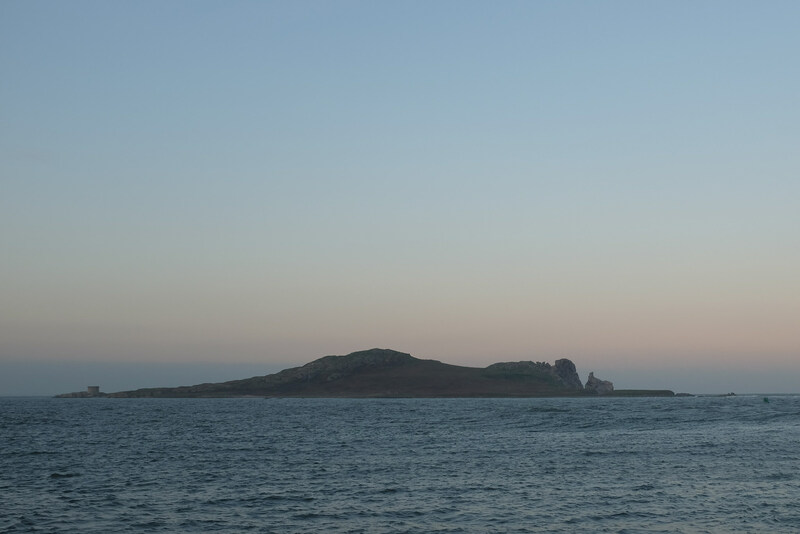 The Martello tower at the north-western tip of the island is one of 28 built along the Dublin coastline in the early 19th century to defend against a feared Napoleonic invasion. They were never tested.